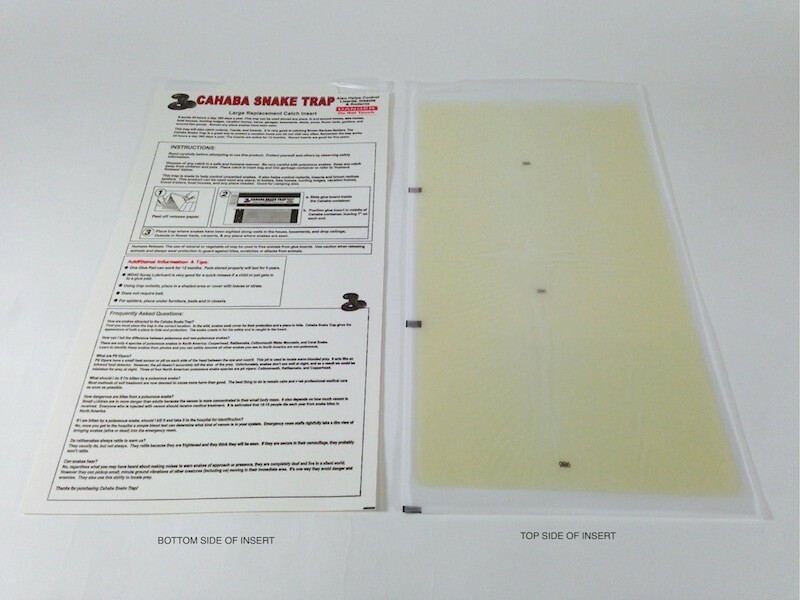 PRODUCT DESCRIPTION: Rectangular "box" type trap made with high density plastic that will last for many years whether you use the trap inside or out in the yard. The trap measures 16 inches long by 5.5 inches wide by 2.5 inches tall. It comes with 3 glue pads and these pads should be replaced every time a snake is caught or after 3 months. This trap will catch snakes up to 1.5 feet long is okay for use in areas where you do not expect to see a snake larger than 2 feet. 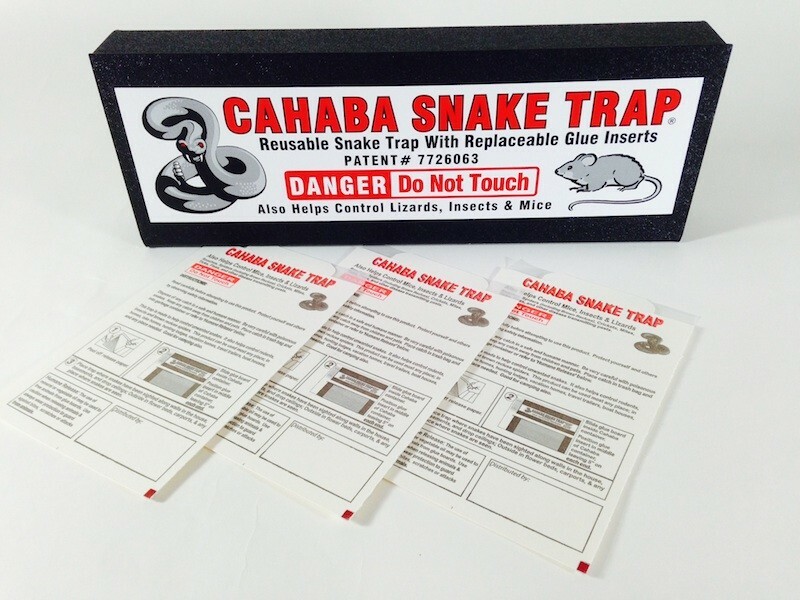 Snakes can enter the trap from either side and once inside will get caught on the glue pad where they will be held steadfast until you either destroy the catch or release it from the glue and set back out into the wild. They can also be used to capture lizards, rats, mice, chipmunks and more.